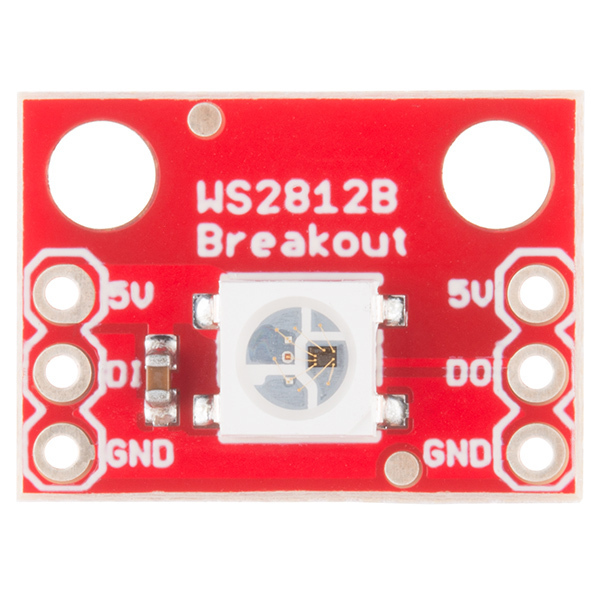 This is a breakout board for the WS2812B RGB LED. 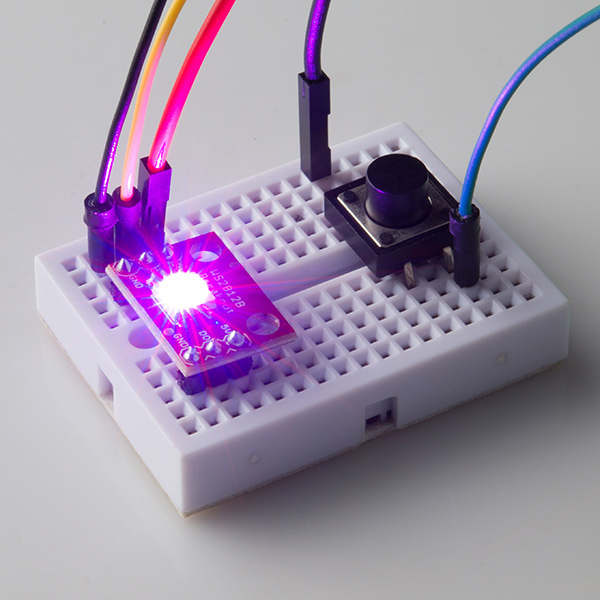 The WS2812B (or "NeoPixel") is actually an RGB LED with a WS2811 built right into the LED! All the necessary pins are broken out to 0.1" spaced headers for easy bread-boarding. Several of these breakouts can even be chained together to form a display or an addressable string. 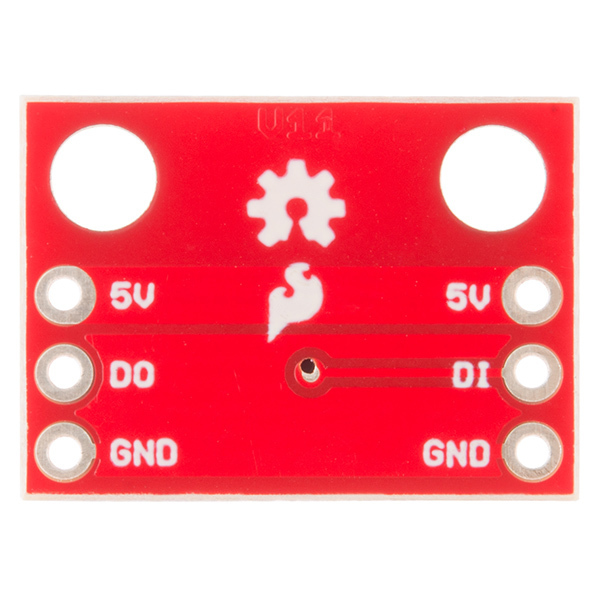 Has anyone made a Fritzing part for this module? It does include the WS2812B soldered to the board (it does not include headers though). As for not using the Neopixel library I can think of 2 options but it really depends on why you don't want to use the Neopixel library. The first is to look at the Neopixel library and copy (or rewrite to your liking) their code into your project. They've already dug through the datasheet, figured out what needs to be done and written code to use it. I recommend this option if you are trying to port code to a different microcontroller, or for some reason need to not use the library structure. The second option is to dig through the datasheet yourself and write the code that way. This will definitely work, but why not use the work someone else has already done. The data sheet for this product specifies high/low data transfer timings 10x faster than the provided example. 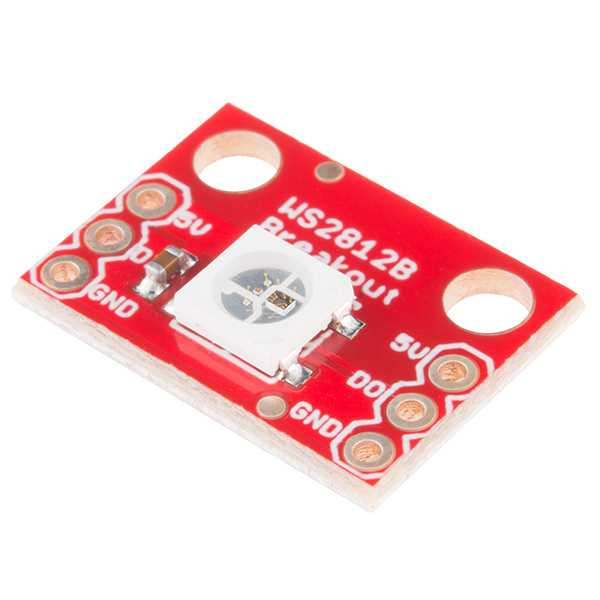 where can i a purchase an led compatible with this breakout board?. 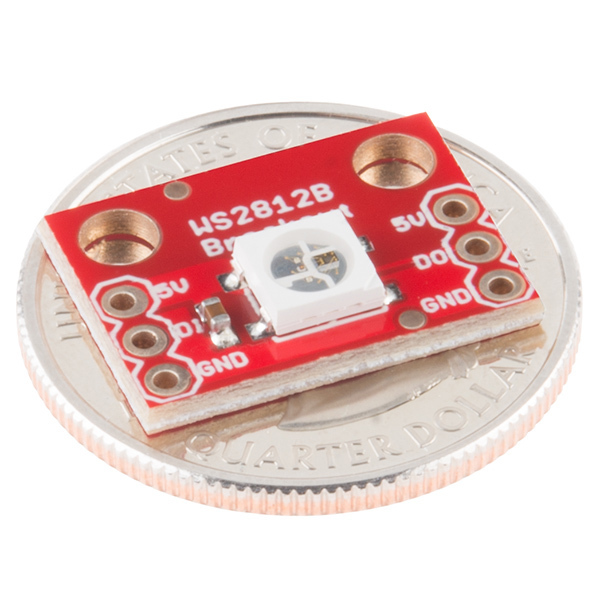 The LED - SMD RGB (WS2812) https://www.sparkfun.com/products/11821 is the closest led i can find for this board but it is a 6 pin led while the ws2812b is 4 pin and i cant find ws2812b on sparkfun. Really really easy to use. Incredibly quick to get up and running. 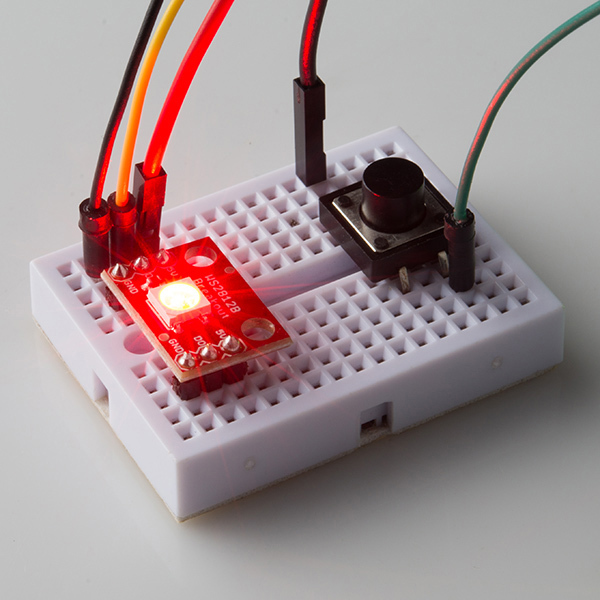 Easy to use multiples, and the NeoPixel library does most of the hard work for you. 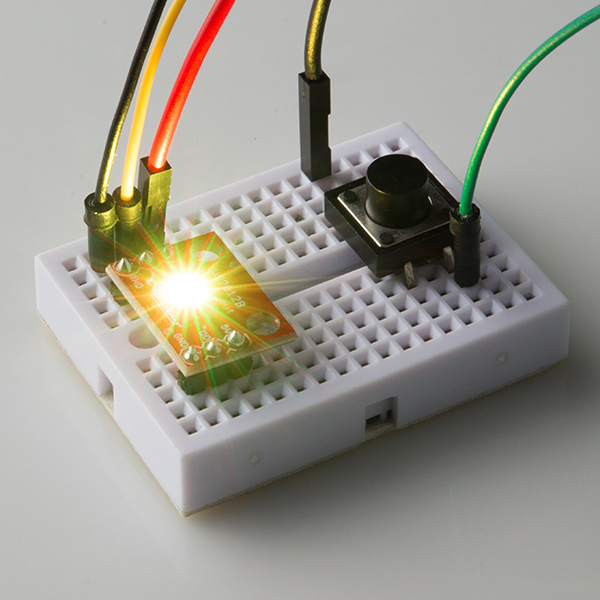 If you're going to put an RGB LED in something, just use this. Don't mess around with through hole components, just buy as many of these as you need and use them. ...colors are deep and bright. The white is nice and clear. The LEDs inside are rather small point sources. A nice and simple evaluation board, Note that the 8mm addressable RGB (COM-12877) have diffused package so are easier on the eyes and appear much bigger; maybe a better choice for signage.